Do I Need an Attorney to Apply for Disability Benefits? Do I Need a Lawyer to File for Disability Benefits? The short answer is: No, you are not required to hire an attorney to apply for Social Security Disability (SSD) or disability benefits administered by the U.S. Department of Veterans Affairs (VA). But having an experienced disability lawyer on your side has advantages. The application processes for SSD and veterans disability benefits can be confusing, and a majority of applicants who are otherwise eligible for benefits are denied upon their initial application due to procedural mistakes. The VA receives nearly 350,000 applications each month for veterans disability benefits. Millions of Americans apply for SSD benefits each year. More than 3.5 million people applied for Social Security Disability in 2016 alone. Approximately 9 million people were receiving SSD benefits in 2016, according to the Social Security Administration (SSA). Similarly, the VA receives about 350,000 applications each month for veterans disability benefits. As of 2016, the last year for which comprehensive data is available, more than 4 million veterans received disability benefits, according to the Department of Veterans Affairs. Most benefits applications, however, are rejected upon their initial submission. And while both the SSA and the VA provide options for appeal, appealing a denied claim can be time-consuming and frustrating. Although SSD and veterans disability benefits are federal programs, they are administered at the state level. If you’re applying for SSD, for example, you can file for benefits online at the SSA website or through one of the regional offices in your state. To find your local SSD field office in Tennessee or Kentucky, visit the SSA’s office locator. You can also apply with the help of a disability attorney. We’ll discuss the benefits of working with a knowledgeable lawyer below. As with Social Security, the VA allows veterans to apply for disability compensation online but also operates regional benefits offices in each state. In Tennessee, the regional VA Veterans Benefits office is located in Nashville. In Kentucky, the regional VA Veterans Benefits office is in Louisville; Kentucky also has offices that offer pre-discharge claims assistance at Fort Campbell and Fort Knox. 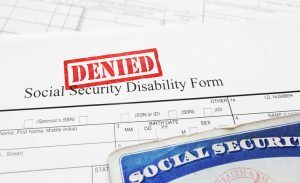 Many otherwise valid disability benefits claims are denied due to incomplete applications or lack of supporting medical documentation. 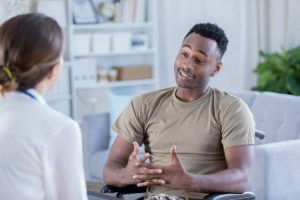 Many individuals who qualify for SSD or veterans disability benefits have their initial applications denied, and often for relatively simple filing errors that could have been addressed by a knowledgeable disability lawyer. While it’s possible to appeal denied SSD and veterans disability claims, it also pays to properly file your benefits application the first time. Both the SSA and the VA face a backlog of disability benefits applications, and the appeals processes can further delay your ability to receive the compensation you need by months or even years. To learn more about appealing a denied veterans disability claim, please click here. For details about the SSD appeals process, please click here. You have the right to work with an attorney when applying for disability benefits or appealing a denied claim. You have the right to legal representation when filing an application for SSD or veterans disability benefits, or when appealing a denied claim. In fact, research by the legal publisher Nolo suggests having a disability lawyer on your side can be a significant asset. 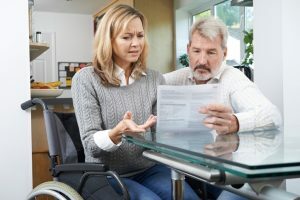 In a survey of individuals who went through the Social Security Disability benefits process, those who worked with an attorney were almost twice as likely to be approved for benefits. A 2017 government report cited by the Nolo study indicated that disability applicants who had legal representation were granted benefits nearly three times as often as applicants without. Disability lawyer Michael Hartup is dedicated to helping disabled individuals from Tennessee get the financial benefits they need. To learn how The Law Offices of Michael Hartup can help you apply for SSD or veterans disability benefits, or appeal a denied claim, please contact us today. To reach our Jackson, Tennessee, office please call 731-513-5282. The information you obtain at this site is not, nor is it intended to be, legal advice. You should consult an attorney for advice regarding your individual situation. We invite you to contact us and welcome your calls, letters and e-mails. Please do not send any confidential information to us until such time as an attorney-client relationship has been established. PRACTICE AREAS DEDICATED SOLELY TO the compassionate and respectful representation of the unfortunate individuals who have been left unable to work to support themselves and families due to injury or illness. P.O. Box 1386 | Jackson, TN 38302 | 731-424-5559 | Copyright © 2019 Law Offices of Michael Hartup | Website Designed by Network Affiliates.